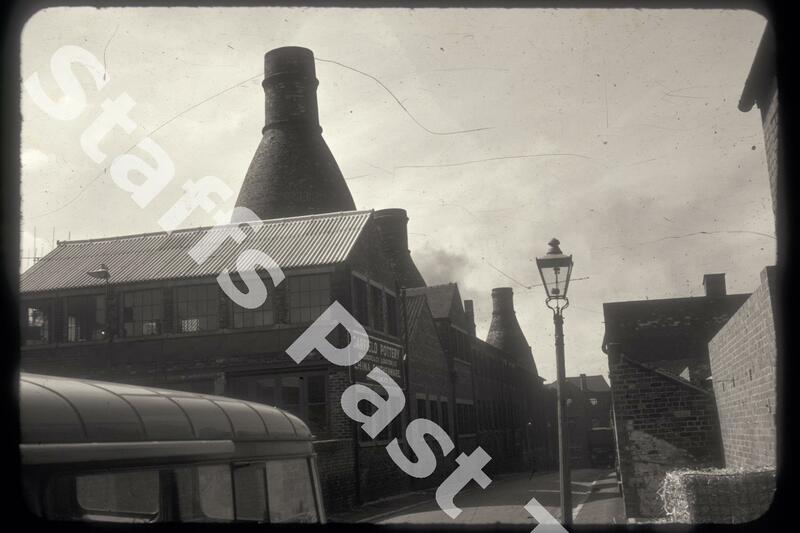 Description:The rear of Gallimore & Co's Garfield Pottery in Barker Street, Longton. Gallimore's produced china and earthenware here from 1947. Although no longer a pottery, the building with the painted "Garfield Pottery" still stands. The rest of the works and the bottle ovens have been demolished. The camera is looking west towards Barlow Street at the bottom. On the right is an original gas powered street light standing in front of the Sampson Smith works. 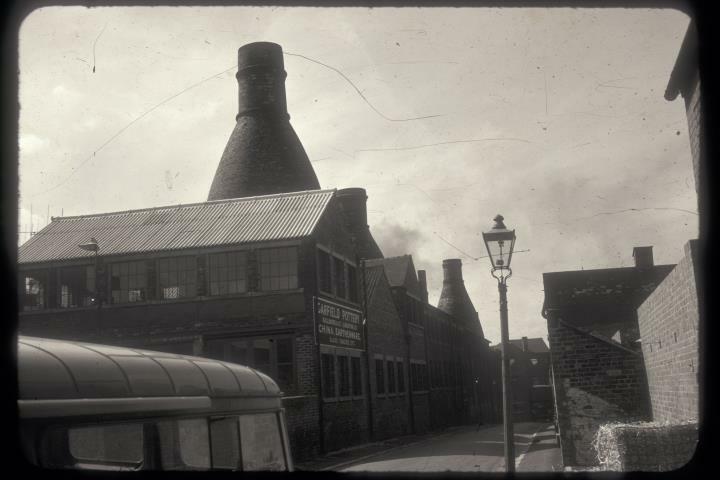 Image courtesy of: Stoke on Trent City Archives. Copyright information: Copyrights to all resources are retained by the individual rights holders. They have kindly made their collections available for non-commercial private study & educational use. Re-distribution of resources in any form is only permitted subject to strict adherence to the usage guidelines.